As a social media professional or entrepreneur -- you know that increasing ROI is vital for your social media marketing strategy. Are you wondering which social media platforms are best for your business? Or which platforms you should focus your attention? With all the social networks out there, how should marketers approach the challenge of generating sales from audiences who aren’t necessarily in a purchase mindset? The idea of generating social commerce is a hot topic among marketers. 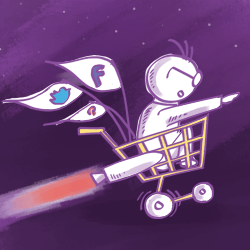 Have you heard of social commerce? It’s been a marketing buzzword for last couple of years -- and definitely a trend you want to stay on top of this year. 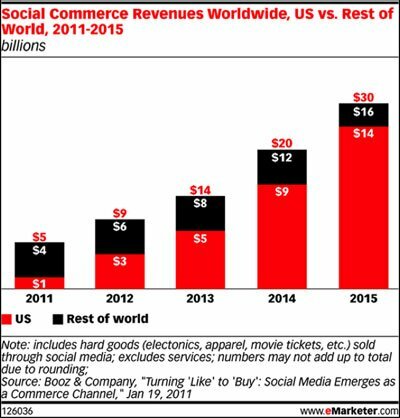 Here are some very interesting stats on social commerce. These numbers are expected to keep growing. It’s clear that the emphasis in 2016 is on converting social audiences into purchasers. In this post, we'll dive deeper into social commerce and how it can boost your small business revenue. It’s essentially the convergence of social media networks and shopping. Social commerce: a subset of electronic commerce that involves social media, online media that supports social interaction, and user contributions to assist online buying and selling of products and services. More simply put, social commerce is the use of social media in the context of online or in-store transactions. Now that we have a good idea of what social commerce is all about, let’s take a look at how it can boost small business revenue. We'll focus on the top 3 social commerce networks for marketers -- Facebook, Pinterest and Instagram. We can’t talk about social commerce without mentioning Facebook. This platform single-handedly accounts for 64% of total social revenue according to BI Intelligence. There's no better platform for social commerce networking than Facebook when it comes to revenue and audience size. Facebook is figuring out how to retain users by showing them personal and valuable information in their feeds. 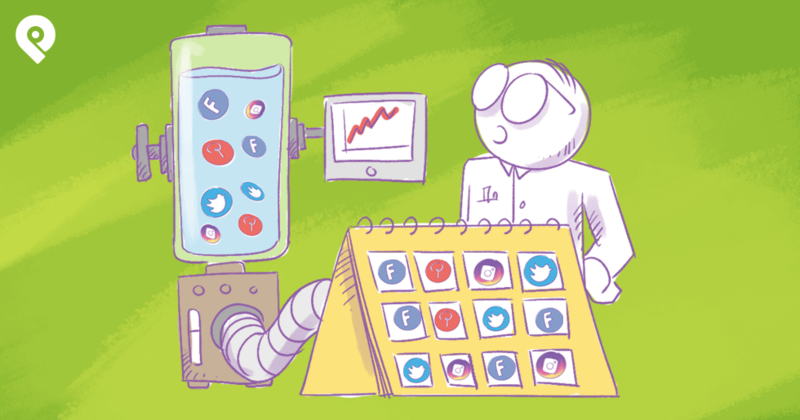 Their sophisticated algorithm prioritizes posts that are most likely to get a positive reaction on an individual basis. By doing this, they're able to keep users on the platform longer -- which results in them seeing more ads. The goal for advertisers is to figure out how to make sure their ads are the most relevant and compelling in their audience’s news feeds. The marketers who are getting the best results on Facebook are the ones who are able to use data to better understand their audience. They place highly relevant, engaging ads in front of the right people at the right time with the right message. 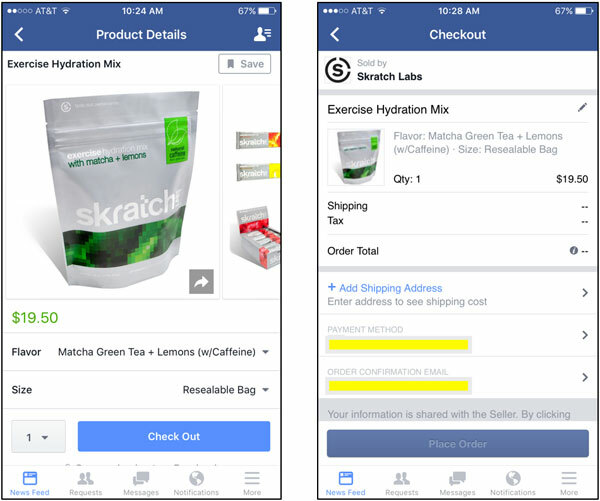 Facebook is also at the forefront of another ecommerce trend -- mobile. 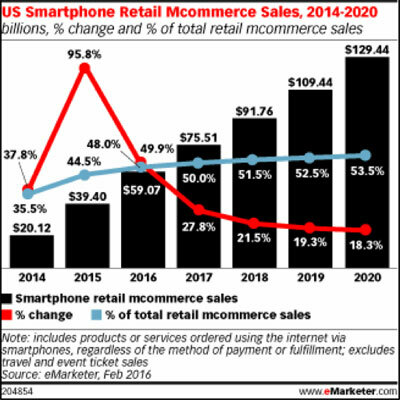 In 2016, roughly half of digital buyers will make a purchase on their smartphone. With 80% of Facebook’s revenue coming from mobile ads, the site is firmly positioned to be at the intersection of mcommerce and social commerce. However, there are still far more people browsing, researching and comparing products on their phone than completing purchases. The main challenge for marketers and Facebook is figuring out how to get people to complete their purchases on their smartphones. Facebook is already taking steps to simplify the buying process by reducing the clicks required to complete a transaction. They do this by auto-completing your information on certain ad units. In the example above, Facebook essentially reduced the amount of time and numbers of clicks for users to purchase this product. Think about it. With this ad, potential customers won’t have to experience slow page load times or worry about a difficult website design on their mobile phone. Plus, Facebook will fill in the info they know about you so you don’t have to. The company doesn’t have to worry about a poor user experience, slow page load times, high bounce rates or remarketing to bring people back into the funnel to complete a purchase. It’s a win-win for the customer and company. If your audience is heavily engaged with your brand on Facebook -- this could be a good option for increasing your social and mobile commerce. Ultimately, companies will need to weigh the pros and cons of integrating their ecommerce platforms into Facebook. Pinterest is one of the most exciting advertising platforms to take advantage of this year. Did you know that 87% of pinners say they have purchased something as a result of Pinterest? You can read more about it on this Millward Brown study. Plus, 93% of pinners use Pinterest to plan or make purchases! 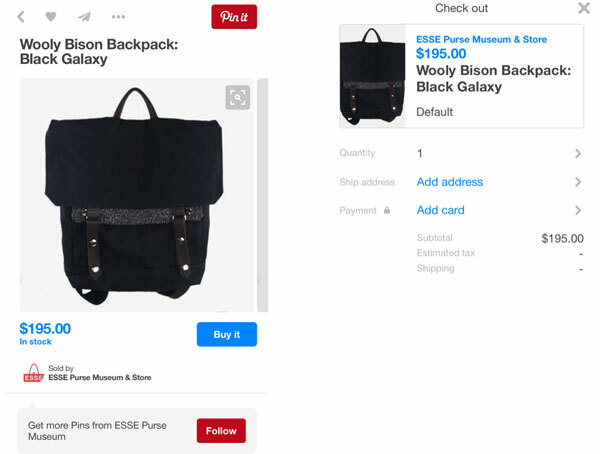 This is what makes Pinterest such an attractive platform for ecommerce retailers. It has the unique ability to influence future purchases for people who are in the research and consideration phase. If you're an ecommerce business and haven’t experimented with Pinterest, it’s not too late. It’s built for marketers looking to increase social commerce. The network is all about positioning your content or product in front of potential customers to influence their purchasing decision. In order to reap the benefits of Pinterest, you must have engaging pins that provide value to your audience. Recently, Pinterest asked pinners to choose 3 words to describe what content needs to be on Pinterest. They said useful (54%), helpful (50%) and inspiring (45%). Businesses that are able to create high value pins will see the most success this year on Pinterest. To engage your audience, consider aligning your content with the types of info pinners are looking for. Think about how your content and products fit across the pinner's journey. In regards to email targeting, think about all the upsell and cross sell opportunities of placing promoted pins in front of previous purchasers. I’m a huge fan of Pinterest's buyable pins. They let pinners buy directly within the platform without ever visiting your website. It’s similar to Amazon’s one-click purchase for Prime users. They reduce the friction it takes for people to satisfy that impulse of buying something immediately. They reduce the number of clicks and time it takes to complete a purchase. This usually results in happier customers. These new Pinterest features and announcements could revolutionize how marketers view and use the platform moving forward. The question is, how will you use it in your social commerce strategy? Without a doubt, one of the hottest social media platforms right now is Instagram. It’s being hailed as the next big engagement platform. I was surprised to learn that 68% of Instagram users interact with brands vs. 32% on Facebook. The platform’s user base is projected to see a 15% growth this year and has already surpassed Twitter with over 400 million users. Instagram is following Facebook’s path of becoming a pay-to-play platform. This helps explain all the recent announcements regarding the updated news feed algorithm and 60 second videos. What this means for marketers is that Instagram may become a viable social commerce platform as companies seek to increase revenue from their ads. 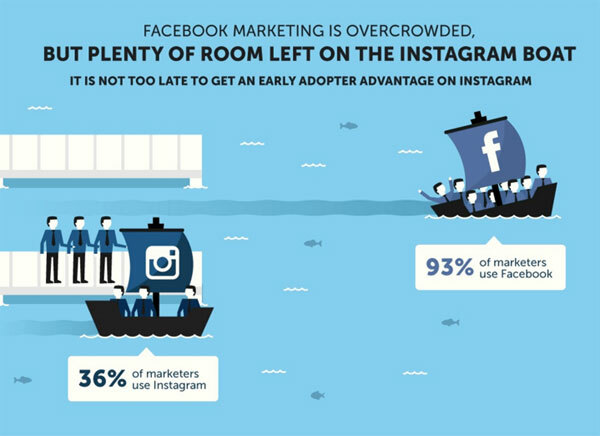 It looks like there’s still a huge opportunity for marketers, because only around 36% of marketers use Instagram. There is still time and plenty of room on the Instagram boat. Jump in! Like Facebook, Instagram is right at the intersection of mobile and social commerce where savvy, sophisticated marketers will reap the rewards. For example, look at what Sonic did at Coachella this year. 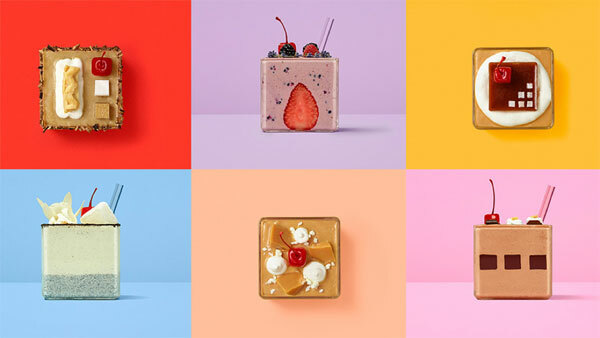 They created a 60 second video announcing the world’s first milkshakes designed specifically for Instagram. Users who clicked on the “Show Now” button were then rewarded with a Sonic shake brought to them using geolocation. The price? Just ‘gram a pic of the shake to your profile. This example really highlights the creativity and ingenuity of how advertisers can use the platform for social commerce and increasing ROI. I suspect this will also force advertisers to find clever ways to engage with users. We'll see more advertisers trying to monetize their Instagram ads outside the typical direct response ads we’re used to seeing. You can also take your Instagram ads up a notch by using cinemagraphs like the one below. Cinemagraphs are a still photo in which a minor and repeated movement occurs. They are fantastic for getting people to stop scrolling through their feed. Sophisticated marketers who can inspire users by finding exciting ways to leverage Instagram’s video, carousel and static image formats will be the social commerce winners. After taking a closer look at Facebook, Pinterest and Instagram -- a few social commerce trends begin to emerge. Let’s take a quick at four predictions. Being able to buy directly from the brands you love on the social media platforms you frequent is the future of social commerce. Savvy marketers know where their audiences live and the platforms they actively engage on. It’s imperative for brands to hit the right message on the right social platform -- which may not be Facebook. Most consumers don’t log into social networks to shop. However, if a brand shows the right ad with the right message at the right time, it could lead to a sale. But the real threat is the opportunity cost of letting your competitor get that sale. Stay ahead of your competition by ensuring your business has a presence on the platforms your audiences use on a daily basis. Don’t let your competitors beat you to market! 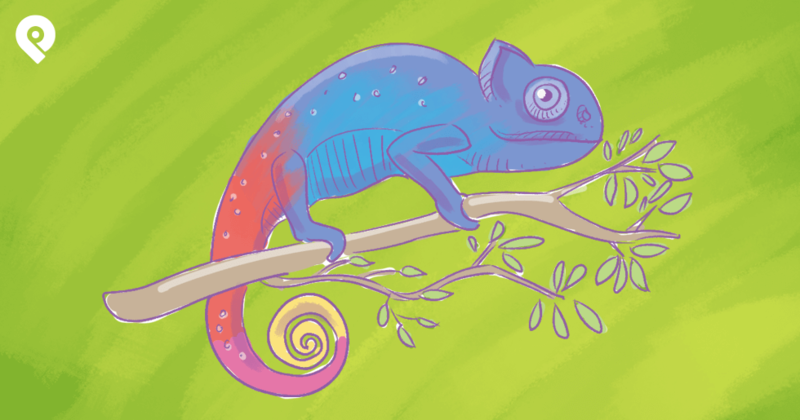 It's the agile, sophisticated marketers that will reap the benefits. Staying on top of the latest trends, shifting consumer behavior and experimenting with new ad types is vital for social commerce success. 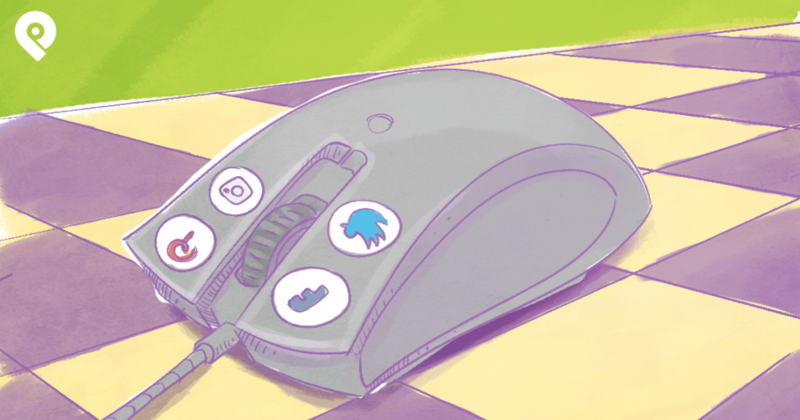 Remember, it’s new for all of us so go out there and experiment with the latest platforms! Social commerce should be at the forefront of your mobile strategy. As mobile device usage increases, brands will need to take advantage of native Buy Now buttons by letting customers buy directly within the platform. At the very least, make sure you have a mobile optimized website with an excellent user experience. Don’t lose potential customers due to a poor website. People want to give you their money -- so make sure it’s as easy as possible. As we move forward, remember that we’re talking about using social media networks as a form of commerce. With that in mind, here are a few elements to contemplate when putting together your social commerce strategy. Engage with people based on their social behavior and the platforms they use. Provide all the necessary info for people to research, compare, make a decision and purchase from you. Delight your customers and give them a reason to talk about your brand on social networks. Give people a reason to return to your website and buy from you again (and again). 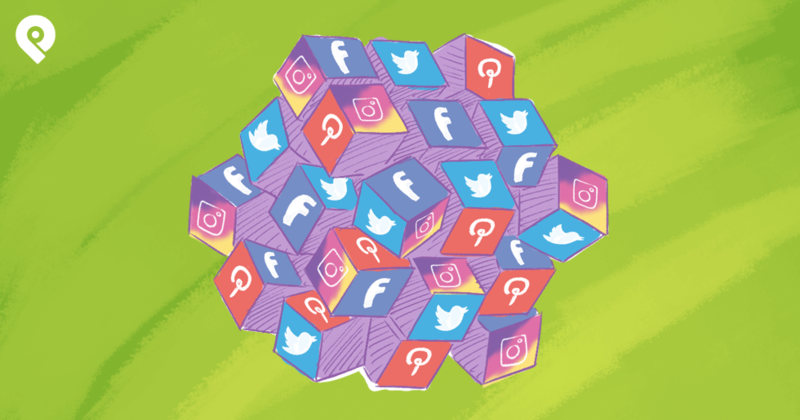 Having a social media strategy that addresses these elements will set your brand up for social commerce success this year. 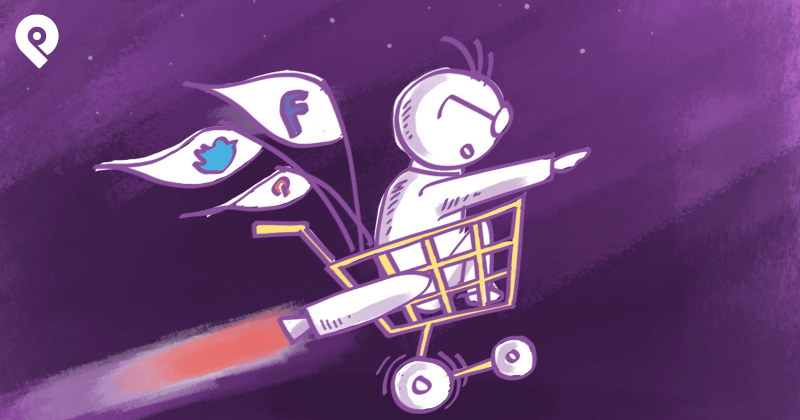 How do you plan on using social commerce? What trends and platforms do you see emerging? 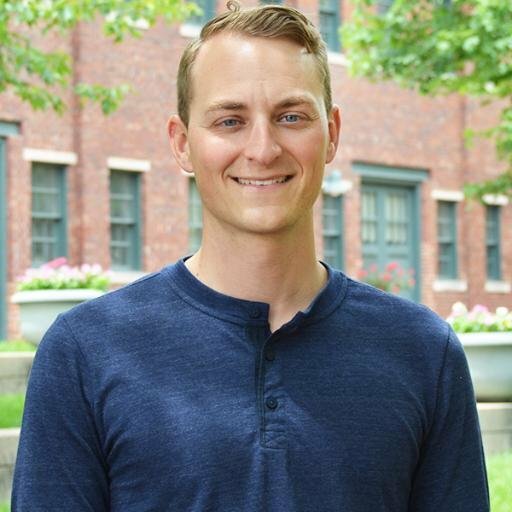 Shoot me your strategies and tips at @jdprater on Twitter!